Northern Ireland’s graveyards are dotted with literally thousands of headstones marking the final resting places of the victims of the North’s conflicted recent past. This turbulent time in Northern Ireland’s history has become known as “The Troubles”. The Troubles in the North lasted from the late 1960’s all the way through to the Good Friday Agreement, which was signed in 1998. Bouts of trouble and tension continue to this day, but relative peace has been instilled, and these days the majority of people on both sides want to live peacefully side by side. These headstones serve as a troubled memory of a time that Ireland should never ever return to. Another daily reminder of the trouble that was endured in Northern Ireland, are the wall Murals that are painted on the gable end of many houses throughout Northern Ireland. 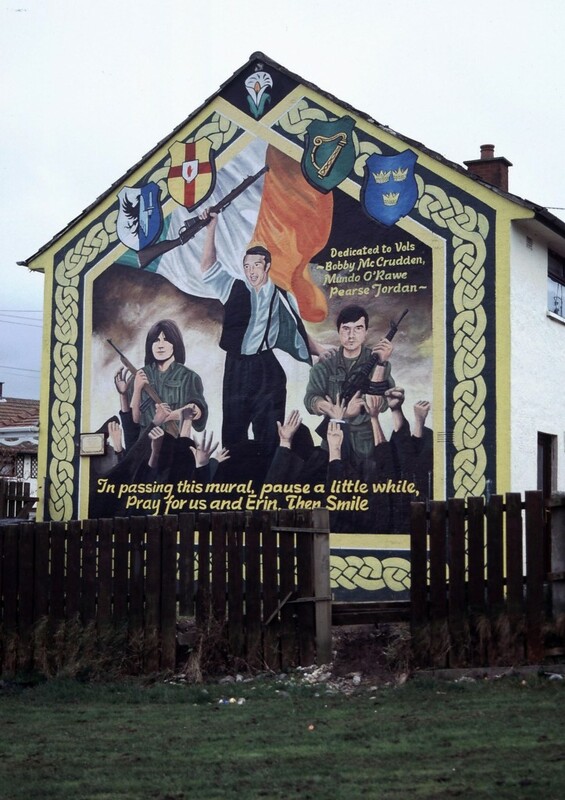 The Murals first started to adorn the walls and houses of Northern Ireland in 1969, when one of the most famous of all was painted by John “Caker” Casey. 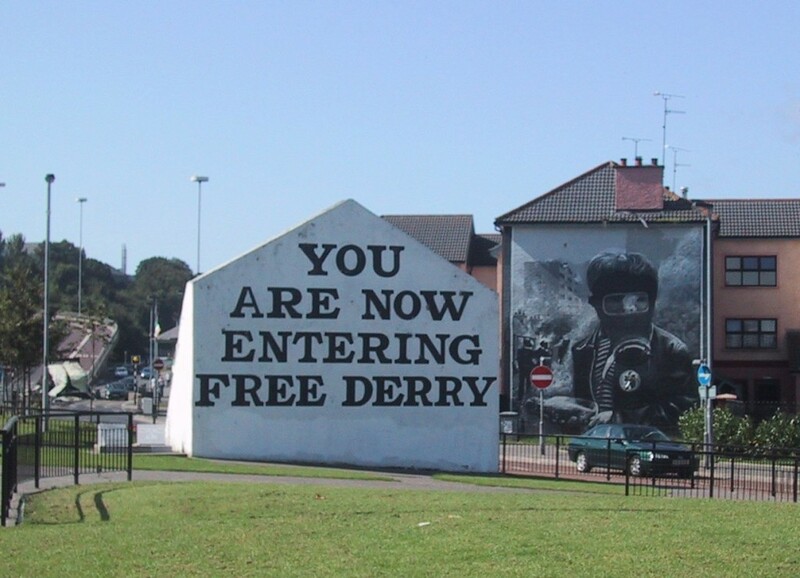 The slogan “You Are Now Entering Free Derry” was painted onto the side wall of a house in an Irish Nationalist area of Derry, and has remained a constant part of the Free Derry Corner every since. 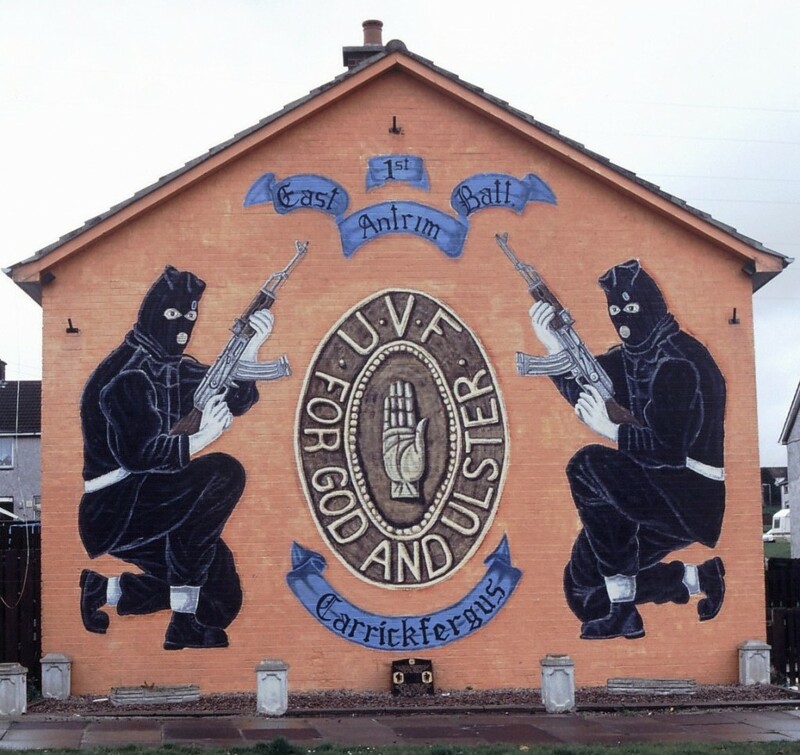 Over the years many more murals popped up in favor of one side or another, highlighting achievements, applauding political figures, and parading the colors of the many paramilitary groups of Northern Ireland. There are approximately 2000 of these murals in the North, the vast majority representing political and religious motivations. 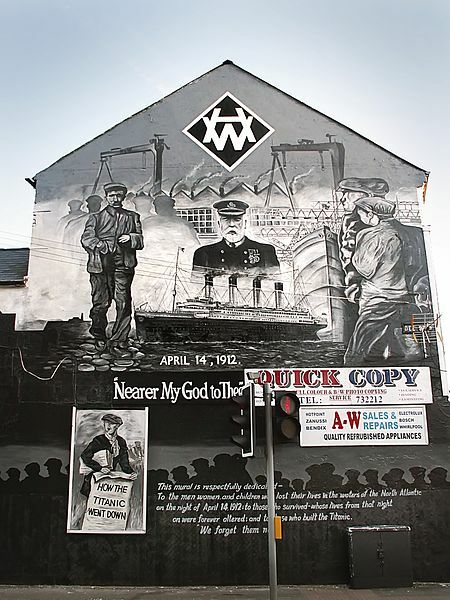 Many others were painted to commemorate events unrelated to the Troubles, such as the sinking of the Titanic, Northern Irish sporting heroes, and the Great Irish Famine of the mid 1800’s. Let’s now take a quick tour of some of the more famous Murals…. 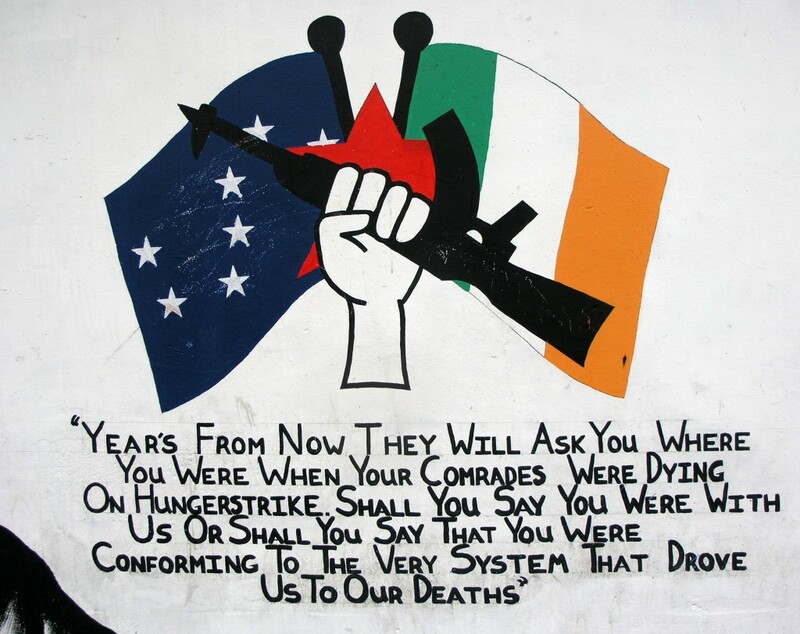 The Ulster Volunteer Force (UVF) is a loyalist paramilitary group in Northern Ireland. 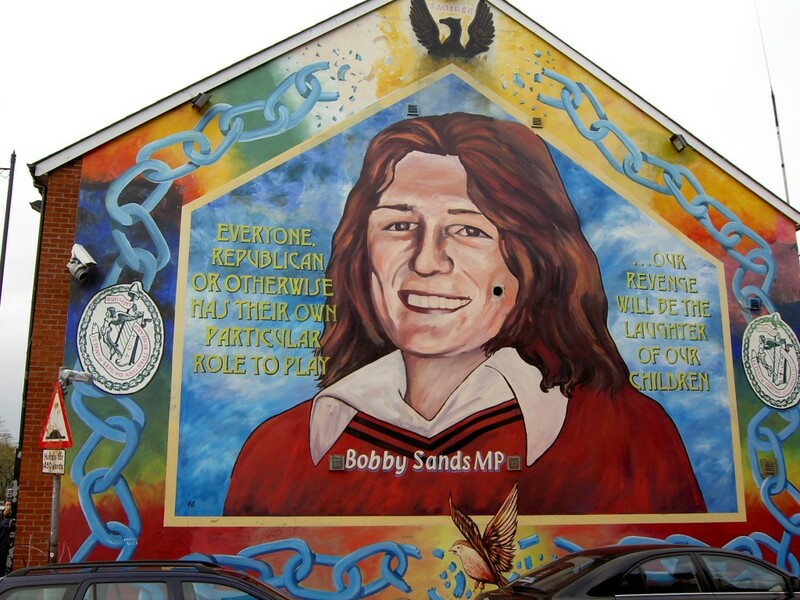 They are celebrated here on this Mural in Bangor Co. Down. 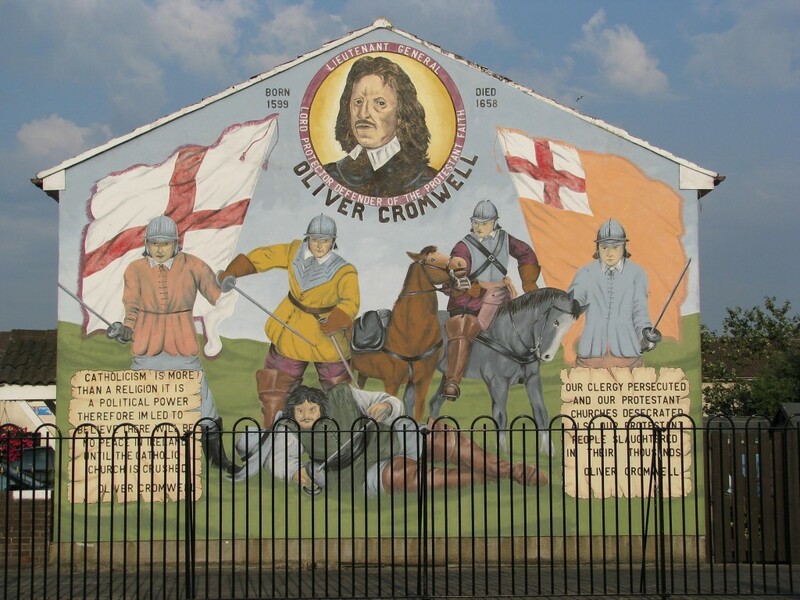 If you are interested in seeing more images of the Murals of Northern Ireland take a look at these 2 books, Loyalist Murals of Northern Ireland and Nationalist Murals of Northern Ireland . Published material is obviously a great place to start if you’re looking for professional quality pictures, but if you’re happy to see images of the Murals taken by the casual photographer, then I recommend searching Flickr and Wikipedia. The Troubles in Northern Ireland were horrible times and Irish people all over the world hope to never see those dark days return. It’s hard to digest all that has happened. Killings, bombings, guerrilla warfare were, for far to long, part of daily life in Northern Ireland. Making Sense of the Troubles: The Story of the Conflict in Northern Ireland attempts to give you a balanced account of what has happened through the years in the Northern Ireland conflict. The book covers “the descent into violence, the hunger strikes, the Anglo-Irish accord, the bombers in England, to the present shaky peace process” and is a great resource for anyone looking to further their knowledge on Ireland’s troubled past. There have been discussions in recent years about the possibility of painting over some of the murals. Many were erected in an attempt to intimidate people of opposing beliefs and affiliations, and were almost like a trophy collection to the side they represented. 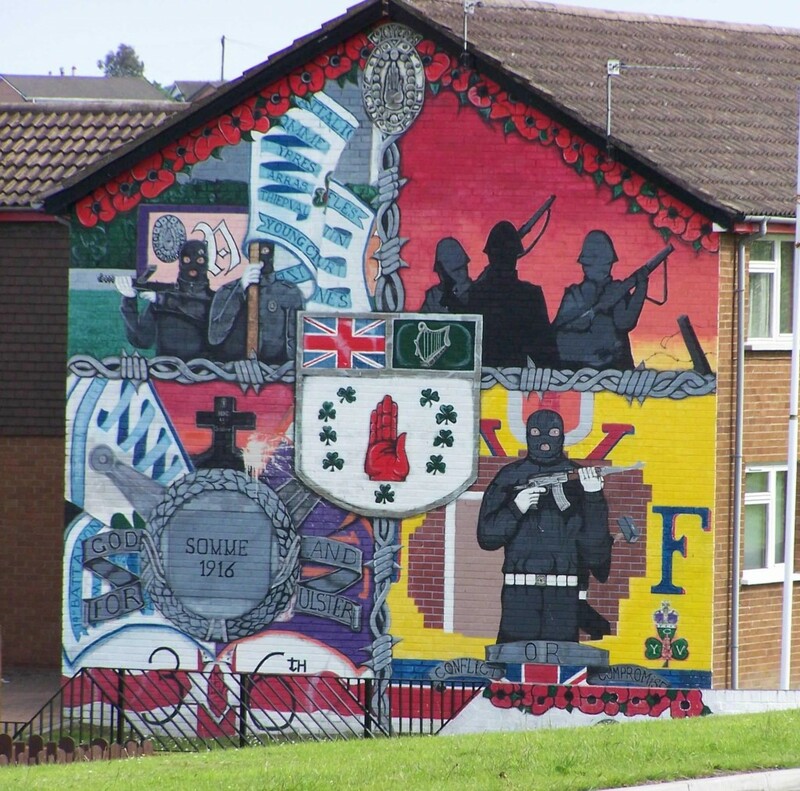 I’m sure the people who were most affected by the conflict may have the most legitimate of reasons to leave the murals as they stand, or remove them. Would you like to share your opinion? Would removing them prove beneficial to attaining long lasting peace in the North? Or do they still serve a purpose? Maybe they should remain as a reminder to people of a time that Ireland should never return to, and to the amazing work that was done to achieve peace in Northern Ireland? Long may peace in Ireland continue. 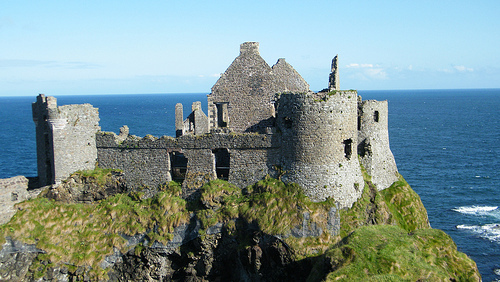 Northern Ireland’s Great Outdoors – Go Explore It! Thank you, for this well-written article, regarding the Conflict in Northern Ireland. It was good to view the photographs of the murals that still remain. As a people, we often have short memories of what is almost intolerable to remember. The murals serve as a reminder, least we should forget. 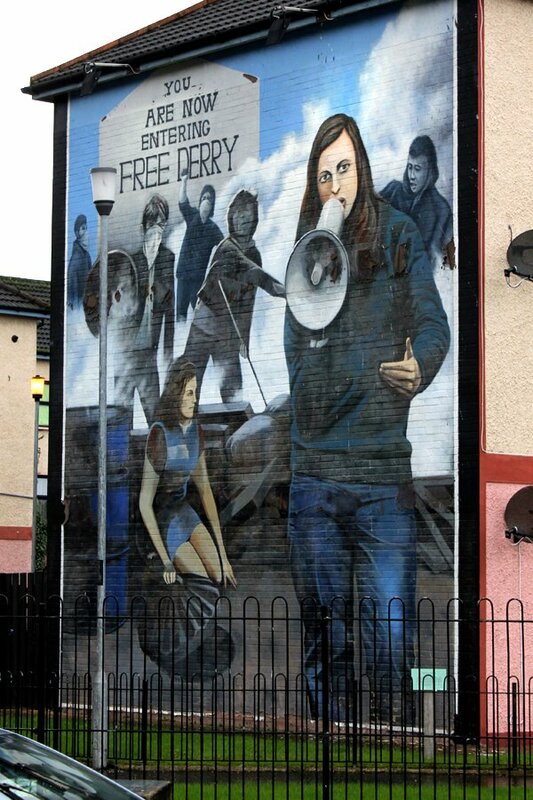 May we never forget the price that was paid to have the written words,”Now You Are Entering Free Derry”, on that infamous mural. I hope and pray for brighter days ahead, for this beautiful land, and Her people. Let us all hope and pray for a time when the Northern Irish conflict is a far distant memory. I’m sure the future is bright in this, and many other respects, for Ireland. Beautiful reminders of an ugly past…and if we forget history, it will be repeated. Best wishes to all who live in that lovely county.